2 oz glass bottle with pump. 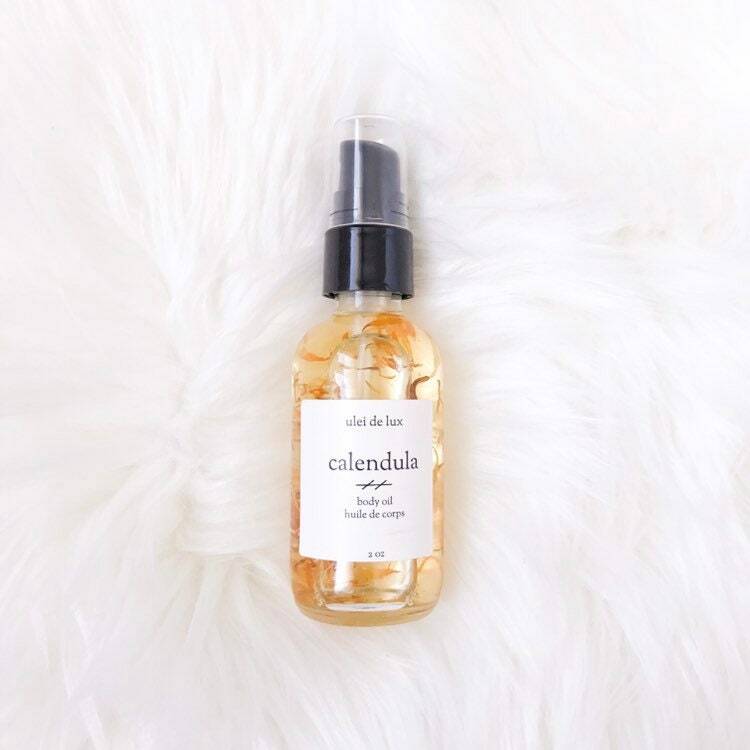 This soothing body oil is infused with calendula and scented with bergamot essential oil. The oil is a blend of camellia oil, coconut oil and sweet almond oil. Use it as an all-over moisturizing body oil, a tranquil massage oil or add it to the bath as part of your bathing ritual. Apply to damp skin after showering and massage over entire body. Store in a cool, dry place, away from direct sunlight. Caprylic/Capric Triglyceride (Coconut Oil), Prunus Amygdalus Dulcis (Sweet Almond) Oil, Camellia Oleifera (Camellia) Oil, Calendula Officinalis (Calendula) Flowers, Citrus bergamia (Bergamot) Oil.